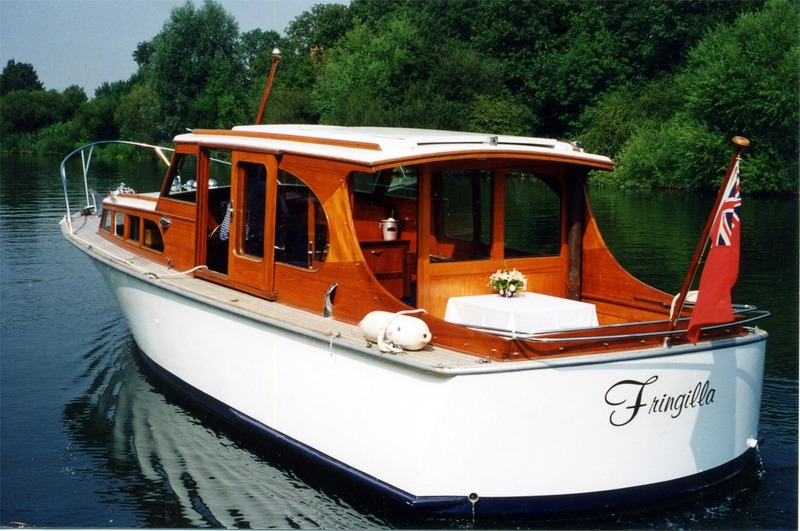 For over 25 years our boats have been associated with Henley Regatta offering groups of up to 12 people a chance to enjoy the spectacle of this world famous event. Whether your interest lies in the International standard rowing, the wide range of sights on the river, the socializing or the food and drink a day on the Thames at Henley during Regatta week provides something for everyone. 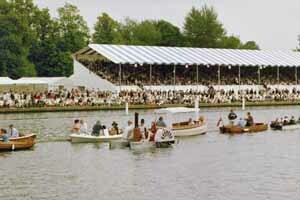 With a range of boats available we can offer the ideal vessel for entertaining at Henley Regatta. A typical day will start at 11.00 at Hurley Lock. Your guests will be greeted by our staff, with the choice of Bucks Fizz, or the more traditional Pimms. The boat will then cast off and proceed along the Hambleden reach through Hambleden Lock and onto the course. We then travel the length of the course, past Phyllis Court, The Stewards and the Finish. We will then pass under Henley Bridge and either continue up river through Marsh Lock to the very pretty Shiplake reach or alternatively return down the whole length of the course to see the Start and possibly pass through Hambledon Lock downstream. One of the attractions of booking any of our vessels is that you as the host can be Master of your own ship. You are not bound by a pre-set timetable and we can to a large extent do whatever you and your guests feel like. Approx. 1.00 lunch as a buffet on board. This will be accompanied with complimentary wines. Continue cruising the course. 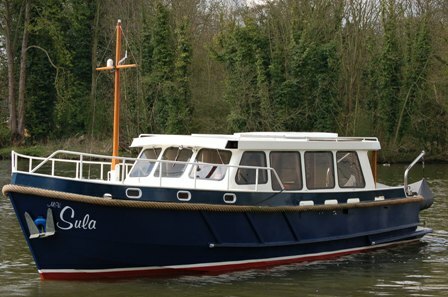 Approx 4.30 Full Afternoon Tea served aboard as you cruise the course or head off back to Hurley for a 6.00 departure.